All children deserve the same opportunities in life. No matter what hardships they may face. Partnering with Variety demonstrates your orgnanisation’s corporate social responsibility, and you will be helping thousands of children and their families when they need it most. Through your partnership with Variety, you’ll be helping kids gain independence and the freedom to be themselves, no matter what their ability. You’ll be supporting them with things like wheelchairs, walking frames, hoists and vehicle modifications. Even in-home therapy equpiment like trampolines and pools. Variety offers specialist help to children affected by a rare disease or condition. 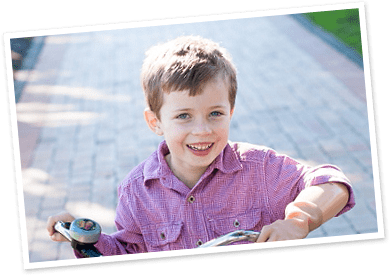 When families are finding it difficult to access support for their child’s condition, you’ll be helping provide medical support grants of up to $1000 and ongoing case management. Some children have such special needs that they require one-of-a-kind pieces of equipment. This can be out of reach for many families who are already struggling to cope financially. You can help ensure no child misses out on bespoke equipment that will change their quality of life significantly . We have been able to achieve so much thanks to the support we have had, and continue to receive from our Corporate Supporters. Our Platinum Partner, Federal Group has assisted us immensely to reach our goals for over 26 years now and, through the commitment and engagement with organisations such as Shiploads, Wrest Point, Country Club Tasmania and RACT to name but a few, we are able to deliver an array of events and activities which not only serve to raise much-needed funds, but also help us to raise awareness of the work we do across the State. We would like to thank our Corporate Supporters from the bottom of our hearts and we look forward to building upon these relationships as well as forging brand new partnerships to provide a brighter future for Tasmanian children who are sick, disadvantaged or have special needs. In 2015 Variety Tasmania embarked on a wonderful journey of discovery with strategic partner Shiploads. We are thrilled to have helped so many Tassie children in need. Here at Variety Tasmania we strive to build relationships with organisations and foster new partnerships that will assist us to enhance the lives of Tasmanian children in need. If you have an idea that you wish to share with us or are looking for a project to engage the community, with the ultimate aim of raising funds for Variety Tasmania, we would love to have a chat with you about your goals and explore opportunities for bespoke initiative. Please contact us by telephoning 03 6248 4888 or sending us a message via the Contact Us section of this website.